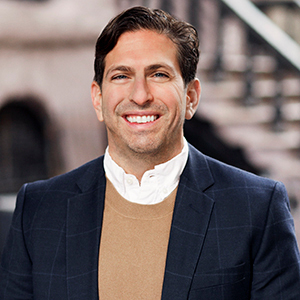 Known as "equal parts real estate agent and psychiatrist," Yossi Capland carefully guides clients through the entire real estate journey, making sure they are comfortable and confident with every step along the way. He considers it an honor to take part in one of the biggest decisions in a person's life, and he offers a bespoke approach that delivers the exact support each client needs. In every transaction, Yossi adheres to a simple formula: Listen closely to the client and do whatever it takes to get them what they want. Prior to real estate, he spent 15 years in the fashion industry — a boon to clients who rely on his eye for aesthetics and quality. Yossi is a Certified Commercial Specialist, and he works with both sales and rentals in the residential and commercial sector. As a proud member of the top-producing Werde Ettelson Team, he is dedicated to the group's mission of providing excellent client service and matchless industry know-how. Originally from Columbus, Ohio, Yossi has resided in the city for more than two decades in neighborhoods all over Manhattan and Brooklyn. Today, he resides in Williamsburg. When not hard at work, he enjoys spending time with family and taking long walks through Brooklyn with their rescue dog.